"I knew my hearing had declined over the last two years, but I was very reluctant to admit that I needed a hearing aid. Part of it is vanity. Part of my feelings was the thought that "hearing aids are for old people". Now, being a 66-year-old male who feels like he is 45 did not convince me that I was old yet. However, as I kept feeling like conversations were muffled and everyone just needed to speak louder, I finally convinced myself that I did something about my hearing. I needed help. I discovered that a wonderful place, Audiology Experts, was just a mile or so away from my home. I made the appointment with Dr. Fell and found her to be very informative and genuinely interested in my specific needs. After testing and looking at the results, I was fitted with a test pair of instruments. The difference was dramatic! The mid range and higher frequencies that I had been missing were back! Conversations were clear and my brain was not having to work as hard to understand what people were saying. I can strongly encourage all who feel that they are missing out on the world of sound, to take time to visit the kind folks at AE. I am very pleased with my "new ears" and feel it is one of the best things that I have ever done for my health." "Dr. Robbins explains everything clearly and professionally, but very down to earth. We trust her to take care of us. She is very caring." "I cannot say enough about how good the service and care is." "Dr. Robbins is great! She is very thorough and caring. She spends a lot of time with you to make sure you are happy with your hearing aids and will actually use them. I actually forget I’m wearing them." "I have been dealing with substantial hearing loss in both ears for 50 years. I was a mature adult before seeking assistance. After several years with a National Hearing Aid Provider, my physician referred me to Audiology Experts. It has vastly improved my social interactions. " "After completely and suddenly losing the hearing in one ear, I came to Dr. Robbins to see if she could help. Wow! With my hearing aids, I can function normally. It is like Christmas every morning when I put in my hearing aids. A real miracle and I thank you." "Dr. Fell always takes time to help with any problem. I have told many people what a big help she has been with my hearing loss problems." "I was hesitant about hearing aids, but Dr. Fell made everything so easy, and I am really glad I got them." "Dr. Robbins explains all the info on the new technology so we know what is available to us in the future." "Dr. Fell has been very healing for my ears and my soul. She takes time to help you and teach you comfort. The aids she sells are great. Recommend her as much as I can." "Although I am amazed at how much better I can hear, I am mostly grateful for the follow-up care that Dr. Fell provides. It is all new to me and it is reassuring to have someone working with me every step of the way to answer questions and concerns." "After several years of dealing with different hearing aids I’ve struggled, but not complained. After wearing my new Oticon aids for a few days it is a new world for me. I hear things I didn’t realize occurred." "I have lived with my hearing loss for a long time...over the years I have noticed a steady decline in hearing which led me to being almost completely deaf in one ear with limited auditory in the other. I never thought I would hear the things that we take for granted...birds chirping, papers rustling, your child whispering. Recently I was blessed by receiving my “new ears” as I call them. I was very hesitant about purchasing hearing aids, Would I like them? Would I even wear them regularly? I thought the aids might be more of a nuisance than a help. Those thoughts vanished within the first days of wearing my aids. Dr. Fell explained everything so thoroughly that I felt like a pro in no time. The sound is wonderful, very natural. They are so comfortable I forget I have them on. My “new ears” are truly an asset for me, and I couldn't be happier with them. Thank you Dr. Fell and your wonderful staff. Your service is so life changing for people like me." "This is to tell you how much I appreciate your working with me to improve my hearing. Before your help I did not participate in group discussions due to my poor hearing. Now I take part in discussions, meetings, etc. Your professional approach and caring attitude are appreciated. It was obvious from the beginning that you wanted to help me as much as I wanted to be helped. Thanks again." "As a typical invincible 30 year old male, it is hard to acknowledge that hearing loss could even be possible at my age. One day I decided to get a baseline hearing test so that, many years from now, I would have the test results as a comparative tool for future hearing loss. As it turns out, I am not invincible and neither is my hearing. Apparently, a number of activities have contributed to measurable hearing degeneration. These activities include chain sawing, mowing, and shooting among others. Now days, I am very aware of the volume and effect of these activities and I work much harder to protect my hearing from future damage. Furthermore, with the help of Dr. Fell and Audiology Experts, I fully intend to start monitoring my hearing on an annual basis, just like I would vision or cholesterol, and take the steps necessary to prevent further damage or enhance my hearing as needed. Lastly, I would like to say that Dr. Fell and her team have an extremely professional and welcoming team. Their office is an inviting, clean, and relaxing environment. I’m very pleased to have found Audiology Experts and look forward to a long term relationship." "I initially met Dr. Fell last spring when I noticed (and my husband noticed) that I wasn’t hearing all the dialogue on television programs. After Dr. Fell tested my hearing, I learned that I wasn’t hearing low tones common in conversation. I had always assumed my hearing was normal. Since receiving and being fitted with my hearing instruments, I realize what I was missing. They have really changed my life. Not only do I hear conversations, but now I can clearly hear sounds from nature, traffic, music, and my granddaughter’s laughter. Not having them was similar to being underwater. They are small, light and unobtrusive. Dr. Fell and the staff at Audiology Experts are the consummate professionals—knowledgeable, thorough, and approachable. They always gave me options and were in tune to my hearing goals. With their assistance, I made the correct choice for me." "Hey, this is a little out of left field, but after being with Griff today I want to tell you that Wess and I have remarked again and again how well Griff hears with his aids. He is wearing them absolutely every time we see him, and he seems to hear very well, no matter what the environment or background noise are. It makes days like today relaxed and easy when everyone can fully participate in the conversation. Thank you for your professional expertise and for taking care of Griff's hearing! "At the urging of my husband, I went to the ear doctor to see if I could be helped by a hearing aid. I had my first appointment in June with Dr. Fell. Although the office is just up the street, I got lost and was about to cry when Dr. Fell called and talked me to the office. She was very reassuring to me at a time when I was very embarrassed. She picked out a hearing aid device that would have four programs available. The first time I put it on and got in my car, I was amazed to hear the left blinker switch. I hadn't heard it in the past. Of the four programs, I use first to hear everything. The second, to mute outside chatter in order to concentrate on conversations. Thirdly, a mute for exceptional noise situations, i.e., loud music, sirens, loud announcements and conversations. Or, just a nap. This device has opened a whole new world to me. Dr. Fell is always sweet and takes good care of me. She walks me through slowly so that I may understand the device. You are part of my family now." "I lost my hearing very quickly and for unexplained reasons. The medical terminology is Sudden Sensorineural Hearing Loss. Dr. Robbins has stayed on top of the research into the disease that “caused” my hearing loss and keeps searching for ways to help me." "Finally, experts who listen and hear what a patient is saying. Drs. Robbins and Fell are the best. They really do care. They are accessible whenever you need them. Honest, straightforward and trustworthy, I wouldn't go anyplace else to hear." "To Anyone Considering Hearing Aids, I am so happy to be able to give Audiology Experts an A+ rating. I have had wonderful care and have always come away pleased with the service, the product and their personalized attention. I’ve been with Dr. Fell for years and would recommend her and Dr. Robbins to anyone needing hearing aids. My son is now wearing aids from Audiology Experts. I feel confident in saying, I’m sure you won’t be disappointed." "I have known Dr. Robbins about 10 years. She is a wonderful Doctor and is so patient and considerate. She wants to get the best hearing aids possible for you and she has done so for me. I am so thrilled to recommend Dr. Robbins and Dr. Fell also. Outstanding is not enough to express my opinion of their service to me. They do not get in a hurry and take as much time as you need to take care of you. Her enthusiasm for her job and her patients is unparallel. I also know she keeps up to date on the latest technology and she can recommend exactly what you will need in hearing aids. I am very pleased with my second set that I have received from her. I have met her lovely family and they are outstanding. Thank you Dr. Kristin for taking care of my hearing problem." "I interviewed 6 audiologists before selecting Dr. Fell, I found her to be the most professional of the group. She, very quickly, established that she was not trying to "sell" me anything but was offering me a solution to my hearing problem. She does indeed solve hearing problems in a superbly professional manner. I have highly recommended her to friends and family and recommend the Audiology Experts to any person with a hearing problem. My wife and I are both more than pleased with Dr Fell’s efforts and the hearing devices she recommended for us." "I have worn hearing aids for over 30 years. My attitude and experience with hearing loss, taking hearing tests and wearing hearing aids was negative and extremely stressful to the point I would be in tears. I have never heard as well as I hear now! I would not be successful with my hearing loss and hearing aids without the caring, loving, gentle and trusting support I receive from Audiology Experts. Lisa and Kristin at Audiology Experts are ready to assist you in whatever you need. They will ensure your success. You will feel “Special”. They love what they do! I know they love being my audiologist! Call them today. They will love being your audiologist!" "When my world began to go silent, it was a confusing time. For one thing, I didn’t want to admit that I couldn’t hear and yet I was missing out on so much. In addition, I didn’t have any personal knowledge or anyone to ask for a reference for an audiologist to help me. My first experience turned out to be okay; I guess especially since I didn’t know what to expect. However, since I have become a patient of Dr. Kristin Robbins, I now know my first experience was run-of-the-mill. Dr. Robbins is one of the most caring and competent individuals I have ever met. She not only does her job with the utmost care for each of her patients, but she treats each one like family. She has integrity, intelligence, a can-do attitude, and is well-versed on the latest technology available in hearing aids. I highly recommend Audiology Experts as both Dr. Robbins and Dr. Fell are two outstanding examples of what anyone needs to be able to hear and avoid having a silent world." "Kristin, I just want to let you know that you are living up to all the things you said you wanted to accomplish when you made this major step to independence. Your service has been impeccable and, as always, your attitude superb. You make your patients feel extremely comfortable and convey the feeling of being helpful and not trying to sell something. Said differently, you create a strong feeling of trust and provide solid advice. I am pleased your first year has gone so well (though I am not surprised) and, as your reputation grows, we "old" patients from the other place just want you to save us a place in your increasingly busy schedule. Congratulations on your success." "During the last sixteen years of wearing hearing aids, I have advised many friends, including my Mom, that hearing aids just don't help hearing like a good pair of glasses helps seeing. The new hearing aids I purchased three weeks ago are simply unbelievable and are closer to perfect than I ever imagined. I advised my Mom that she may have to try some like I have. During the past year, I continually asked my wife, "What?" and asked her to just talk louder so I could hear. I also fussed at her to turn the TV up. With my new hearing aids, we have role reversal. She is asking me to turn the TV up and I since I have adjusted my speaking voice she is asking me, "What?" Thanks a bunch." "Dr. Robbins, thank you so much for your work with getting my hearing in better order. The aids you set up for me are just the thing I needed in my busy schedule of work and play. I recommend you to all my friends. You always have time to spend with me if I need consultation." "My experience with Audiology Experts has been a very positive one. Dr. Fell has been very accommodating to my needs for better hearing. She has explained everything in great detail. We are still adjusting my hearing aids, but they are much better after each visit. I can call her at any time if I have a problem. I am very pleased with her service. Thank you." "I cannot adequately express my appreciation of Dr. Robbins' attention to customer service. She not only tested my hearing in a professional and timely manner, but, took the time to explain what the results meant and how different products could assist my specific case and how others might fall short. I related how my elderly father, who lives out of town, had problems with his aids to the point that he no longer wore them. Dr. Robbins provided the name of an Audiologist she was familiar with and trusted in his area. She did this, not as a way to make herself more money, but to re-assure me, one of her patients. I refer anyone of my acquaintance to her for their hearing needs." "I've been seeing Dr. Lisa Fell for almost 10 years now. I not only have great respect for her knowledge as an audiologist, but I also consider her a friend. Since I started seeing her, she has not only completed her doctorate degree, but has had two children. So, I like talking about audiology with her, but also enjoy keeping up with the family. Lisa has been very helpful to me since I lost the hearing in my left ear. She set me up with a hearing aid and has given me information on things to do and things to try. Annual checkups are also very important to me so I can make sure that the hearing in my right ear remains stable. When I found out that Lisa had moved from the doctor's office that I normally visited, I sought her out. She's been taking care of me a long time and I didn't want that to change." "The day I had my appointment at Audiology Experts it was icy out. Schools were closing and businesses were opening late. Dr. Fell called to let me know that she had talked with most of her appointments for the day, and they had opted to reschedule. I explained to her that I had taken this day off from working in Dallas to handle three appointments different appointments that day and I would like to keep the appointment if possible. Dr. Fell came and opened the office just to accommodate me. She was very thorough and careful with each test and made me feel perfectly comfortable about inconveniencing her. I had a very good experience and would recommend Audiology Experts." "Dr. Fell is outstanding. I've been seeing her for about 4 years. She has helped me tremendously and she is an excellent audiologist. I would recommend her to everyone." "I have only positive things to say about my experience at Audiology Experts and particularly with Dr. Robbins. She is knowledgeable, professional and always exhibits a genuine interest in my specific hearing needs. In addition to her professionalism, she always has a cheerful, upbeat attitude that makes doing business there a genuine pleasure. 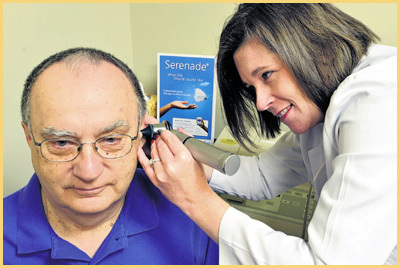 I highly recommend Audiology Experts to anyone who has hearing healthcare needs." "I've been Dr. Fell's patient for five years and there are many reasons I keep coming back. First, Dr. Fell is an expert. She knows her business and stays on top of the newest technology. Second, she listens. She has taken the time to understand what is important to me with my hearing loss and has been able to provide the best answers based on my specific needs. And finally, she remains one of my partners in my hearing loss journey, checking up on me, making sure I'm aware of products and services that are available and soliciting my input on any I may have used, and being available to me when I have questions. Thank you!" "Right after turning 40, I was in my doctor’s office for a routine check-up and complained to him that I was really struggling to understand people’s conversations. I was in the teaching field at the time and quiet conversations between teachers or students as well as conversations with others in the teacher’s lounge were really becoming quite the challenge. My doctor said that he thought I was still awfully young to be experiencing such a hearing loss, but that I should go to an audiologist and have my hearing evaluated. So I very reluctantly made the appointment and went for a hearing test/evaluation, still making excuses that somehow validated me being there. That was when I first met Kristin Robbins. After testing and evaluations were completed, it was discovered that I not only had hearing loss, but a pretty profound loss. Kristin thought that I was a perfect candidate for hearing aids. (I was still thinking, you’ve got to be kidding, me… at my age?) I now have to say that the day those hearing aids were placed in my ears, changed my life, at that point, for the better. I could actually hear whispering from someone sitting across from me, talking to me from behind a magazine!!! I started crying and I’ll never forget that moment!!! I don’t think Kristin knew until then, what an emotional patient she would be dealing with. Kristin is such a dedicated, caring professional with a true passion for helping those with hearing losses. I have really presented her with some challenges over the course of 7+ years, but she never gives up on me, or the challenge at hand. She and her staff are always available for support or help if I need something. She stays on top of the latest and greatest technologies available for hearing aid users and can’t wait to share what she finds with her patients. I believe that Kristin’s knowledge and expertise in this field has greatly enhanced my life and even though my hearing will never be perfect, she continues to help me gain the most possible from my hearing. I highly recommend others to use Audiology Experts of Arlington for their hearing needs." "I love my new hearing aids. The first day was shocking and I felt that I probably would not keep the aids, however, I am better at inserting the aids and I am more comfortable. I have been to several social functions and it has been wonderful to hear well. I have a new hearing life. "Dr. Fell, I am proud to have been one of your first clients at Audiology Experts. I have literally watched your business grow from the grand opening of your doors to today because I have had a situation that entailed many visits over the past year. I feel like I am a part of your "business family". I have always been treated with such courtesy, respect and understanding. I always recommend you to anyone I meet who is experiencing audiological problems or just needs that baseline hearing test. And buying batteries from you direct is the best kept secret in town! I have saved a great deal of money and received the best quality of batteries by buying them directly from you. You are to be congratulated for taking that giant leap of faith to step out on your own. I wish your practice many more years of success." "I have been blessed with having Dr. Lisa Fell as my audiologist since 2002. I had undergone numerous surgeries for corrective hearing, but alas, the surgeries didn’t hold up, and my hearing had diminished to the extent that I could no longer hear what people were saying. This diminished hearing started affecting my job, confidence and life in general. Since Dr. Fell fitted me for hearing aids, I feel I have rejoined society and now mingle with others without fear of feeling like an outsider. Dr. Fell has the ability to make one feel like they are the only one that matters. If you are looking for an expert audiologist with wonderful personal skills, she is the one to see." "First of all, let me recommend that everyone have their hearing checked early (at least in your 50’s). I personally waited too long (in my 60’s) and already had a 25% permanent loss. I have personally worked with Dr. Robbins and Dr. Fell (Audiology Experts) for over 10 years now. Their personal and professional services have been outstanding. The companies and products they represent have been excellent. Their wide variety and styles and models can meet your individual needs. I have personally recommended a number of friends to Audiology Experts and they have been equally satisfied." "Lisa- you are the fourth Audiologist I have worked with and you are by far the BEST. Thank you for all you have done for me." My audiologist fitted my hearing aids in early afternoon. The first thing I noticed upon leaving the office was the chirps of birds as I walked to the parking lot. I could also hear traffic noise from the street nearby. I was scheduled to attend a club meeting later in the evening, so I had several hours to kill. I stopped by a tool store to browse for a while. I was able to hear other customers clearly in the isle one over from where I was shopping. Clerks asked if I needed any help in finding anything and the conversation was free and easy. Next, I went to a department store and shopped for a tool that I was not able to find before. Again, the experience was very relaxed without the need to “work at hearing.” It was almost time to head for the club meeting. I stopped by a friend’s house. We were planning to car pool to the meeting. He was washing his car when I arrived. I was able to carry on a conversation with him from the sidewalk 30 or 40 feet away. We had a catered dinner before the meeting. We were seated at large round tables that could seat 8 or 10 people. The speaker for the evening was seated across the table from me and I was able to hear him easily. I made eye contact with him and began to ask him questions and had a very interesting discussion with him. I would have never done that before hearing aids. I have taught at a local community college for about 20 years. Over the last few years, I have had to ask my students to repeat themselves more and more often. When a student is asked to respond to a question and they are asked to repeat their answer, they think maybe they are wrong. After a while, the students are reluctant to respond at all. After being fitted with hearing aids by my audiologist, I can hear my students more easily, and they feel freer to respond. The atmosphere in the class room has improved and everyone is happier." "The bicros system hearing aid has made a big change for me. I used to avoid going places or sitting in areas where people would be on my left side because I couldn't hear with that ear. Now I don't have to worry about that. The bicros aid makes it much easier to hear from my left side. It's still amazing to me how it transfers the sound to the right ear, but it does." "Hi All - I knew that you were the best, but it was great to see you get the recognition for what you do every day (i.e., Best of the Best in Arlington). Congratulations!" "I met Lisa Fell in 2001. She worked in the same building as my ENT doctor. Years earlier he had performed a stapedectomy to fix a sudden and unexplained hearing loss in my left ear. Thirteen years later, I had lost more hearing in that ear and my right ear was going deaf too. I was preparing to return to public school teaching. I had to be able to hear well to do my job. He recommended I see Lisa. The rest, as they say, is history. She fitted me with hearing aids as well as a normal hearing person. We have become good friends over the years and I value highly her understanding support in helping me deal with a life altering situation. I enthusiastically recommend Audiology Experts to others." "Congratulations on your 5th anniversary. I have been very pleased with my experience with you and will be recommending your business. I will not be able to celebrate with you because I will be at my grandson’s football game. Thank you." Audiology Experts is located in Arlington, Texas. Lisa B. Fell, Au.D. and Kristin Robbins, Au.D. 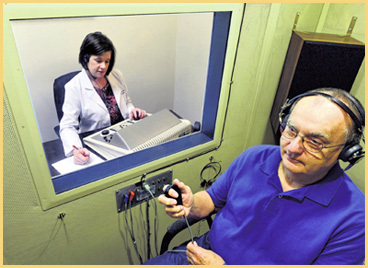 are board-certified audiologists, specialists in hearing problems, such as ringing in the ears, tinnitus, hearing loss. Drs. Fell and Robbins also serve Fort Worth, Dallas-Fort Worth, Hurst, Bedford, Mansfield, Euless, HEB, Colleyville, DFW, Grand Prairie. Services at Audiology Experts include tinnitus consultation, hearing tests, cerumen removal, ear wax cleaning, tinnitus evaluation, hearing exams, audiological evaluation. Treatment may include digital hearing aids, custom ear molds, hearing aids, musician earplugs, hearing care packages, assistive listening devices, hearing aid supplies, hearing protection, sleep molds, swim plugs.